Just like me, my daughters were introduced to eating torta from an early age...and yes, they love it! 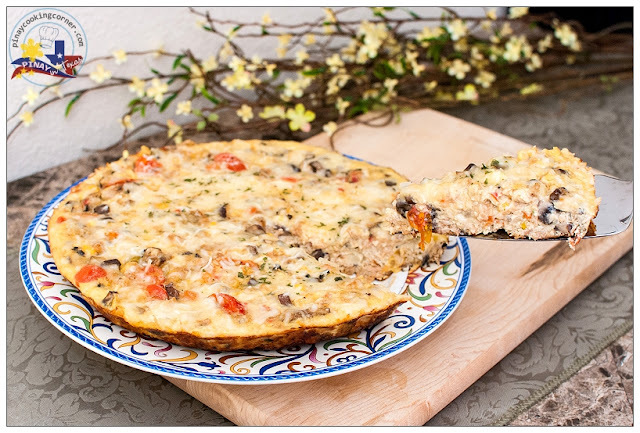 This Tuna and Mushroom Torta is one of their faves. As I've mentioned before, they both love mushrooms...so this is something they just couldn't resist. 1. 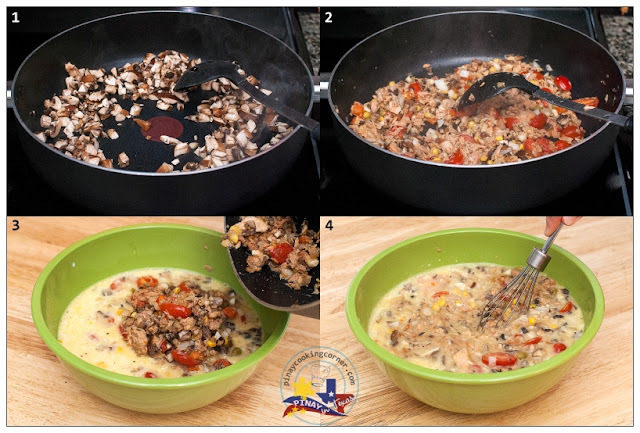 Beat eggs then add milk, salt, ground black pepper and ½ cup of the cheese, and continue beating until well combined. Set aside. 2.In a skillet over medium heat, saute onions, garlic and mushrooms in 1 Tbsp olive oil for a minute. 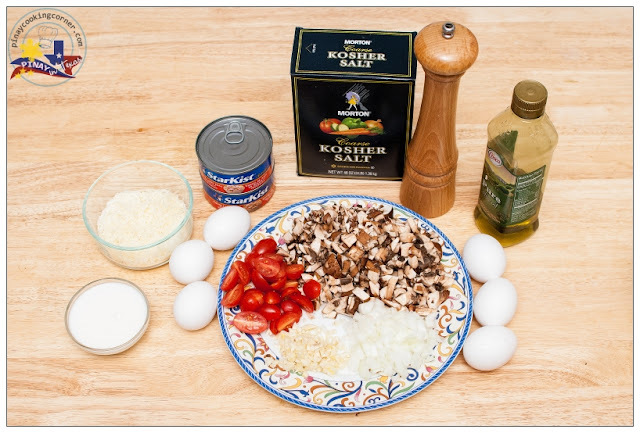 Add tuna and tomatoes. Saute until well combined with the other ingredients. 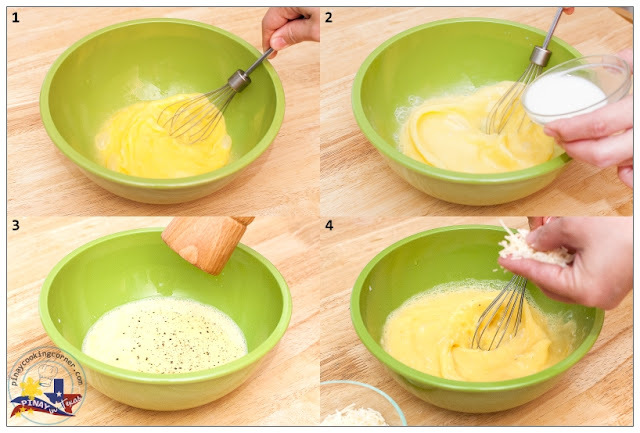 Pour mixture into the beaten eggs and mix until well combined. 3. Pour egg-tuna mixture into a 10" skillet over medium heat. Cook for about 5 minutes or until the sides of the frittata are set. Turn the heat to medium low and continue cooking for 20 minutes while occasionally running a spatula underneath the sides of the frittata so the uncooked eggs run to the underside. Sprinkle with remaining cheese. Continue cooking until the cheese are melted. 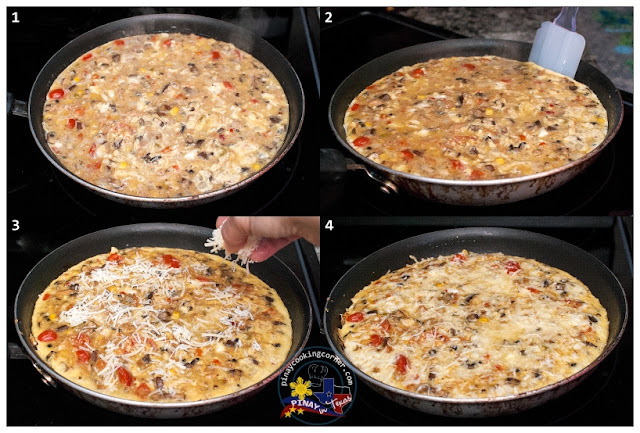 To finish off the frittata, you may invert it onto another skillet and continue cooking for 5 minutes, or place the skillet in a preheated oven at 400°F and broil for about 3 minutes or until well set and slightly golden brown. Remove from heat. Garnish with parsley. Good grief, I have a lot of canned tuna. I need to try this recipe. Looks delicious! 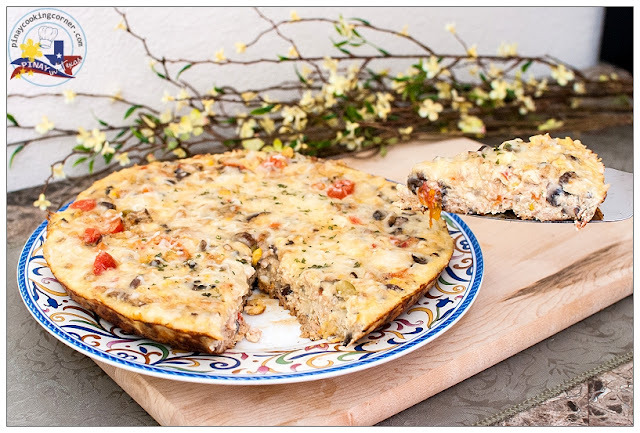 Delicious frittata with mushroom and tuna. great breakfast recipe. Interesting recipe Tina,looks so yummy and filling. Right on Tina, I have all the ingredients at home. These ingredients sitting comfortably in fridge and pantry and will be to be used for this yummy savory recipe. Perfect for us because we are so into savory dishes and its pretty simple to be made. 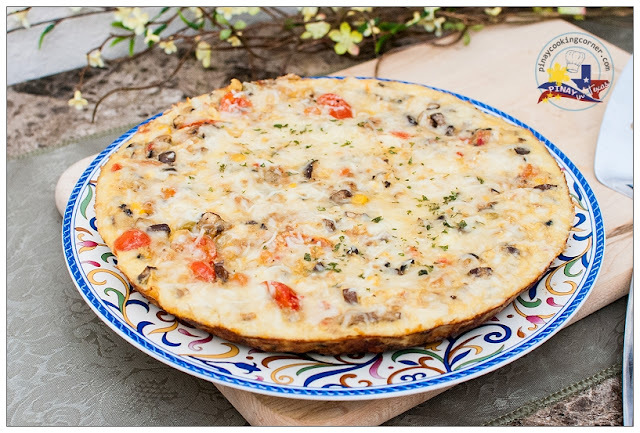 Tuna and mushrooms sound delicious in this frittata Tina...simple and yet so tasty. Tina, your torta is simple and healthy. loved it. Lucky you ! Growing up , all I had is tortang talong :D Love your version , hearty and delicious ! Great dish during Holy Week . Love this recipe. Healthy, easy, and looks delicious! Tina this looks amazing! A perfect light lunch or dinner! Yum!